SRP maintains and controls the output of C.C. Cragin Res(formerly known as Blue Ridge Res). 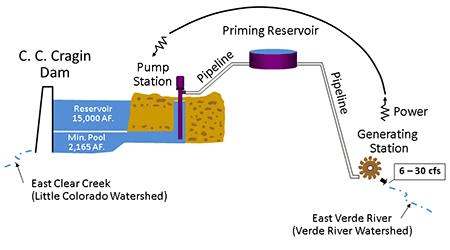 They have updated their site this past spring with more info about the control and flow from Cragin through the East Verde River to the lower Verde River. If you plan to visit the area or stay at our cabin please take a moment to check out these pages and read about the importance of the East Verde River and let’s all do our part to help keep it clean and fun from all families. Thank you. Tagged C.C. Cragin Reservoir, East Verde River, Flow, Spring Run.